Last sunday afternoon, while shopping in Bellagio I entered the shop of Arte & Moda with my friends. The owner Pierangelo Masciardi welcomed us with a shiny smile. We started talking about fashion, art, archeology and our origins…Pierangelo Masciadri is an artist from Como, who graduated at the “Academia delle Belle arti di Brera” and was appointed Honorary Inspector of Lombardy by the Ministry of Culture and Environement. His great interest in the themes within architecture, sculpture and painting made him want to spread his knowledge to a wider public. He is passionate, he is an artist! I advice you to visit his shops in Bellagio and/or Venice. The choice of two different places for his shops to propose his creations follows a precise cultural logic: a village “Bellagio“, not only a “gem” of lake Como, famous all over the world, but also a city, “Venice“, absolute masterpiece of art and beauty. His shop is equal to a musem to me, because it contains art! 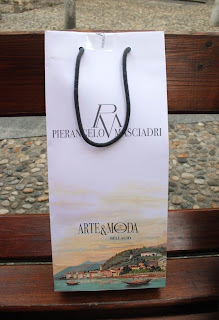 In the following article you will find several photos of my favourite items especially bags and clutchs: made basically with silk and leather (want them all), of course made in Italy, handmade. Designed by Pierangelo Masciardi. 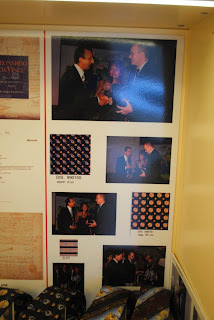 Iin 1992 Pierangelo Masciadri achieves fame as stylist after having drwan the tie that Bill Clinton wore when he was elected the first time president of the USA. 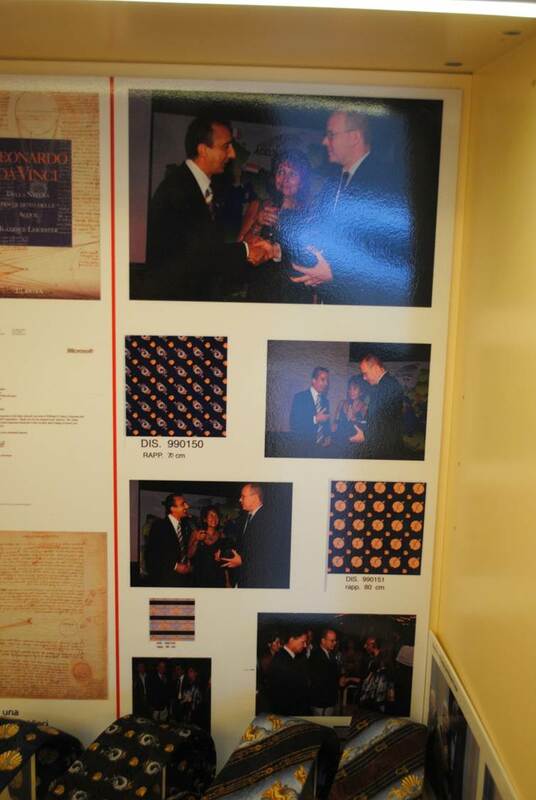 From the moment Masciadri has got important recognitions from the most powerful and famous men of the world. worldwide testimonial for the preservation and protection od cetacean, whom cngratulates in public not only the refinement of the silk, but also on the high content of the ties. Grazie Pierangelo, ci rivedremo presto !